Decades of racing and lots of testing on track have taught us that maximizing wheel and tire widths and lowering weight leads to better results. To make the best tires fit a given car meant we had to work with wheel makers to create new sizes and offerings over the years. 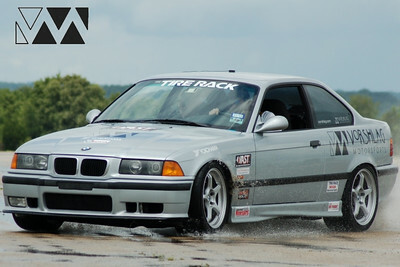 We now have multiple wheel manufacturers we work with to create the widest, strongest, lightest wheels - which we use to put most tire under your car with the least number of modifications. 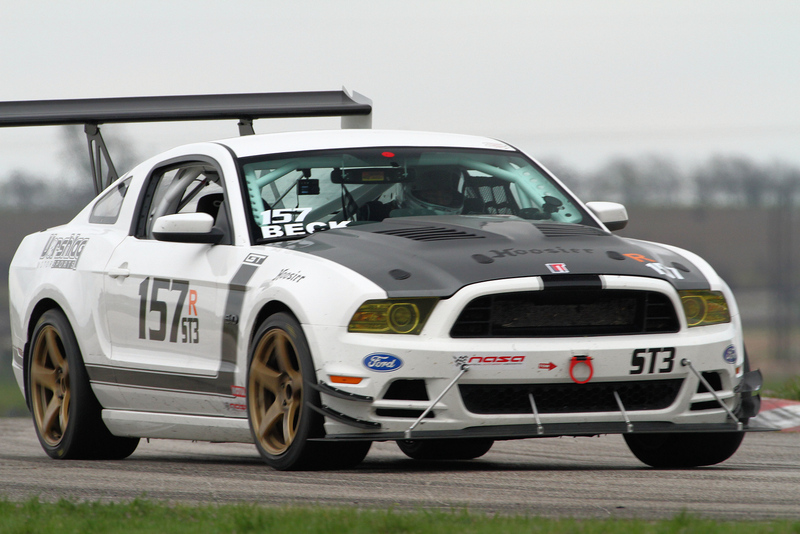 We added Forgestar to our line-up in 2012 after testing an "unpossibly wide" set of wheels on our red 2011 Mustang that year (below left). We won a lot of races and set 16 track records using Forgestar wheels on this car - and we still use this brand on most of our shop race cars today. This was part of the "We race what we sell" attitude we take on all of the products we build, buy, or sell. We have sold many hundreds of sets since for Mustangs, BMWs, Corvettes, Camaros, and more. Forgestar's custom flow formed wheel concept was unprecedented - they start with a huge number of rotary forged wheel "blanks" that they keep in stock which.These come in a variety of styles and spoke profiles. The correct spoke profile and width for a given style wheel is then allocated for a job, machined to our specifications to fit a wide range offsets (the back pad is shortened), and the bolt pattern is then machined. To make these specifications has taken us years of testing, measuring, and building custom wheels. Lastly the machined wheels are powder coated in one of 20 colors, then shipped to the customer. Vorshlag has a lot of proprietary offsets and sizes we have developed, through hard work and testing, that we offer for a number of cars. 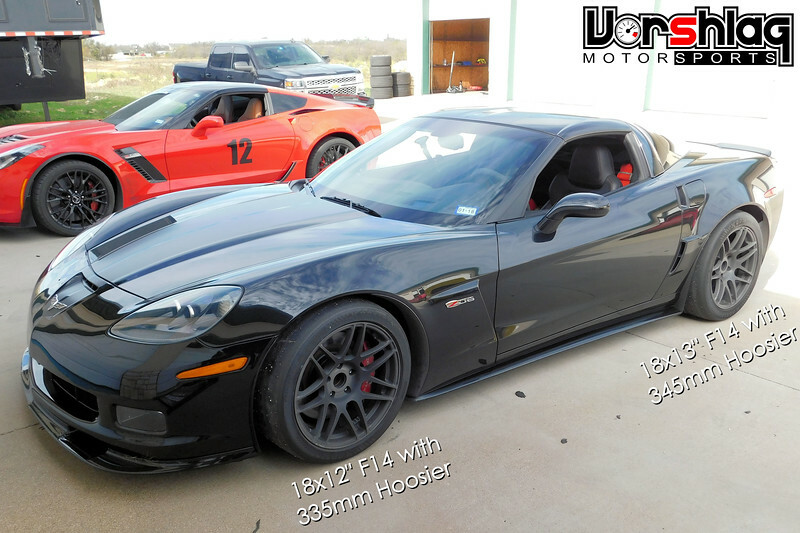 This C6 Z06 above is typical of what we can do using Forgestar wheels. The F14 comes in an 18x13" size, which we can fit under the stock rear Z06/ZR1/GS fenders. The front 18x12" wheel is significantly wider than the stock wheels, yet they also fit under stock fenders. Due to longer lead times we prefer to sell these wheels via phone orders. This way we can take the 50% deposit for custom wheels up front, then charge the second half + shipped at the tail end. In 2016 we added some new wheel options to our custom wheel line-up. Braid wheels out of Spain makes a flow formed/rotary forged wheel shown below. 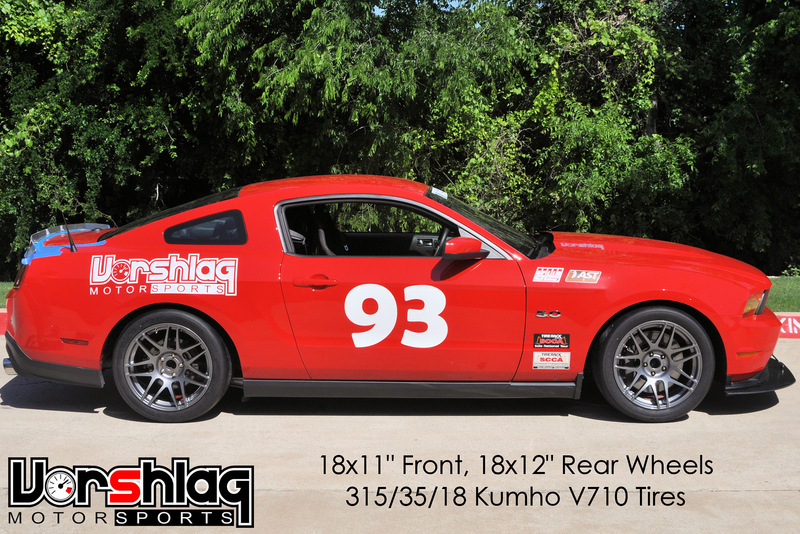 We carry the Braid Fullrace-A, which comes in a variety of 18" wheel sizes with great prices on their 18x10" and 18x11" widths but up to 18x12" is available. Braid wheels are made to order in 2-3 weeks and air freighted directly from Spain when completed. 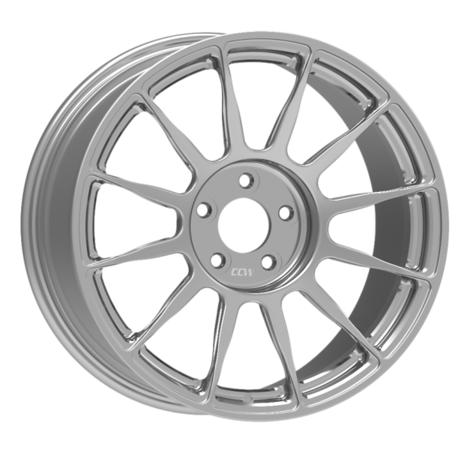 We now carry CCW's monoblock forged and multi-piece racing wheels. 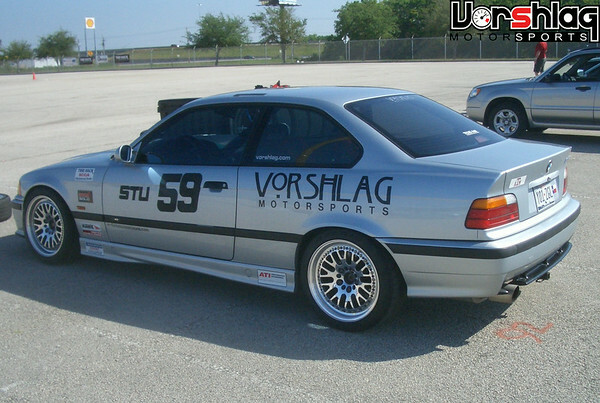 Vorshlag raced our first BMW on CCW Classics (below left), which are still available. Their more modern wheel designs like this monoblock wheel (below) are customizable, stronger, and lighter than the classic 3-piece. 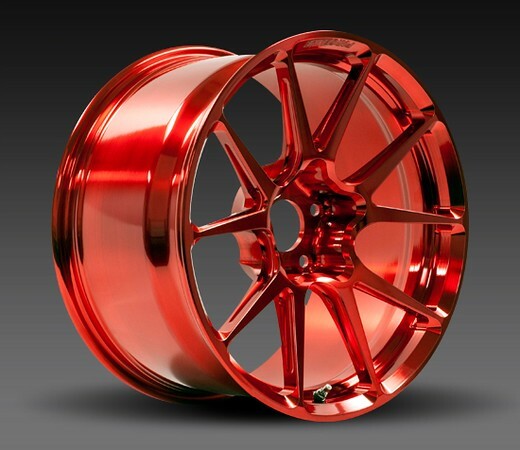 Call us about any CCW wheel needs. 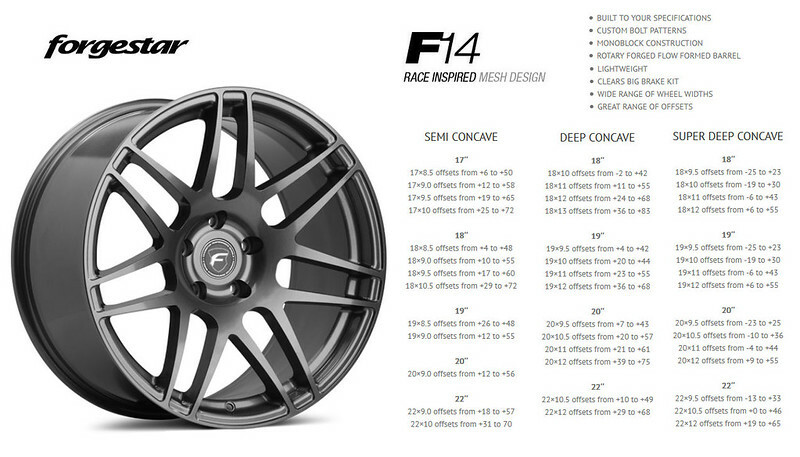 This company has been making forged monoblock and multi-piece racing wheels. Call Vorshlag for the right model, style, and construction method of Forgeline wheels. 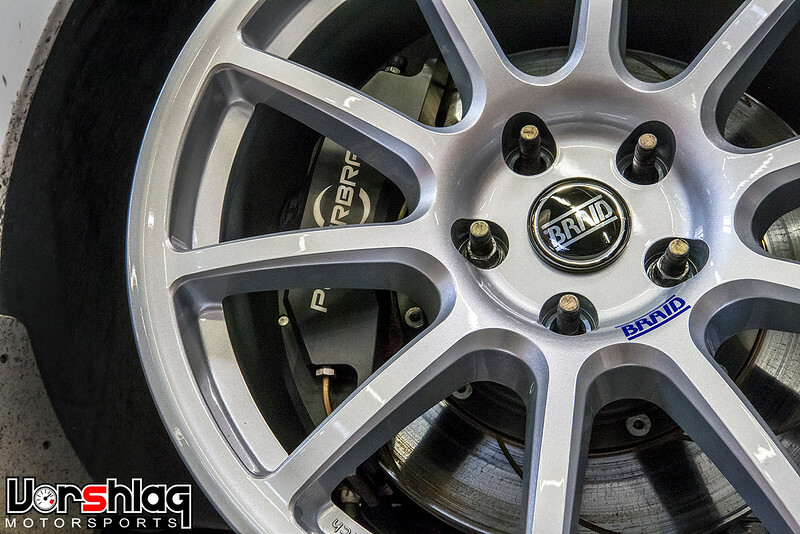 We began selling rotary forged / flow formed wheels early starting with D-Force Wheels in 2007 - who we worked with to make a number of new, wider sizes for BMWs and other cars. 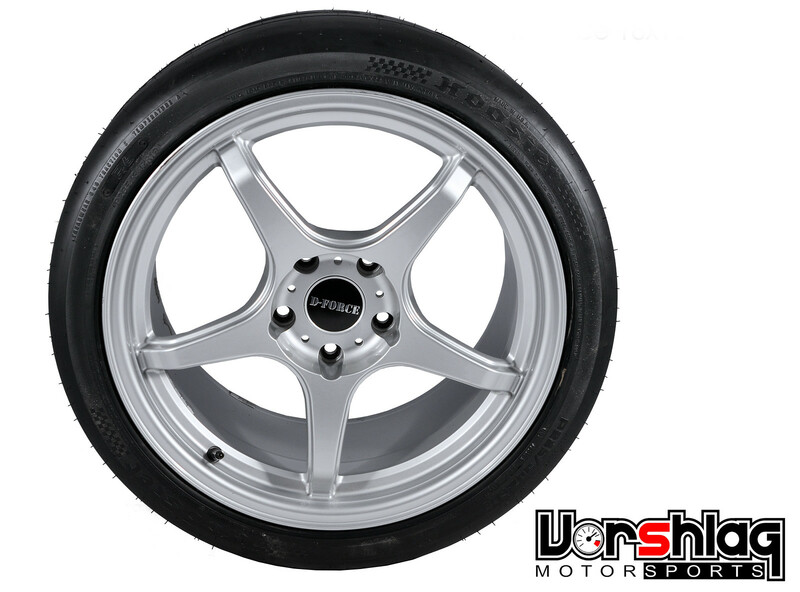 These 5-spoke wheels are still available for most BMWs in a wide range of sizes. Call us if you don't see the size you need! 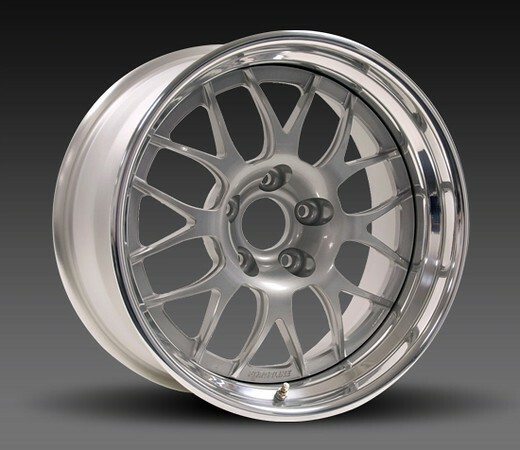 Currently Forgestar F14 has the most options for the price in a custom configurable wheel, but if you want another style, wheel construction, or price point we can work with you and get the perfect set of wheels on your race of street car. Again - calling us at 972-422-7170 is the best way to get the direct help for a wheel order.